This book held me spellbound from start to finish. 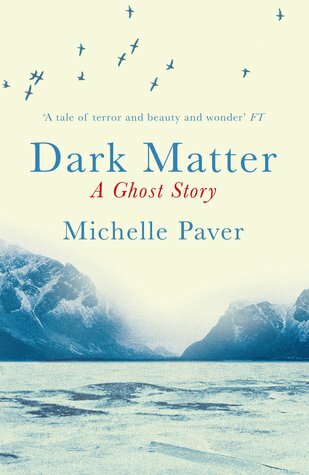 It is a ghost story set in the Arctic, but very much in the way of Henry James (The Turn of the Screw). Five young men in 1932 set out to spend a year in a remote part of Iceland making observations. One by one, through different accidents, they all have to leave, leaving Jack to face the endless winter all alone - but is he alone? This is a great ghost story, one where you never know, as with a James story, what is really there and what is imagined. The atmosphere of the Arctic cold is beautifully drawn - what you would expect from Michelle Paver whose YA books Chronicles of Ancient Darkness are set in the Ice Age. She had therefore done a lot of research and spent time herself in these arctic areas, and so the setting feels realistic. A fantastic novel, and one which will stay in your head for a long while. Sign into Goodreads to see if any of your friends have read Dark Matter.